Some documentaries work as investigative journalism, while others function as slice-of-life storytelling. There’s also the subgenre of doc that’s largely experiential, inviting the audience to witness a performance or event that they’d otherwise never get to see. 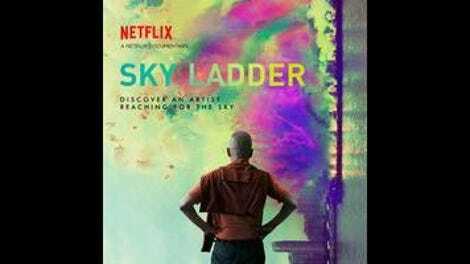 Kevin Macdonald’s Sky Ladder: The Art Of Cai Guo-Qiang encompasses a little bit of all of the above. A portrait of an ambitious and often personally conflicted environmental artist, Sky Ladder has a lot in common with the likes of Rivers And Tides and the Maysles brothers and Charlotte Zwerin’s Christo films, in that it creates a permanent cinematic record of work designed to be ephemeral. But Macdonald also captures the long, hard struggle of Cai Guo-Qiang to realize some of his grandest projects, often over the objections of his own government and patrons. The primary focus of Sky Ladder is Cai’s long-gestating dream to create a fireworks display that will form the shape of a glowing ladder, stretching across the sky. 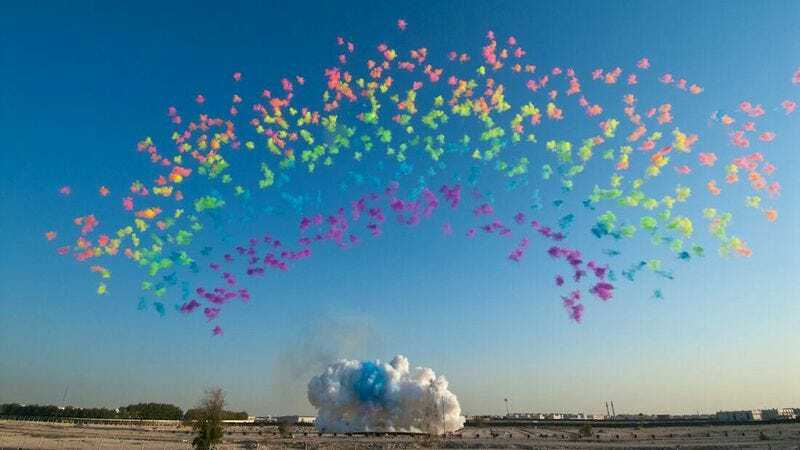 A pioneer in the use of gunpowder and explosions in art, Cai has worked with technicians around the world to produce one-of-a-kind experiences of noise, color, and smoke—most famously in 2008, when he collaborated with filmmaker Zhang Yimou on the opening ceremony for the Beijing Olympics. The artist first rose to prominence with smaller-scale installations and “gunpowder paintings” (marking canvases with tiny bombs), but as his reputation has grown, so have his budgets, until he’s found himself essentially working for people who feel like their financial contributions entitle them to make demands on the end product. Macdonald covers the highs and lows of Cai’s career, with some of the lows being the commissions where he lost the handle on his original vision for the project and came off looking like a sellout—or, worse, a stooge. In that context, the “sky ladder” represents a kind of redemption. Cai wants to get it done to honor his dying grandmother, and to delight and inspire people without anyone wondering this time whether his motivations are pure. Throughout Sky Ladder, Macdonald cuts back periodically to the extensive preparations, documenting the setbacks on the way to the big day. The story culminates with the lighting of the ladder itself, in a moment so stunning that it justifies what it took to make it happen. Sky Ladder also connects Cai’s oeuvre to the changes he’s lived through in China, from the “destructive idealism” of Mao’s Cultural Revolution—where young people like himself were encouraged to demolish all traces of Western influence to make way for something new—to the creative flourish of the 1980s and the big money realities of today. The son of a calligraphic artist, Cai’s always sought to honor his ancestors’ traditions, even while using explosives instead of ink. Macdonald effectively draws lines between his subject’s past and his present, attempting to make sense of what his harshest critics see as self-serving contradictions. In a way, it’s all of a piece, embracing the best and worst of an ever-changing nation. Sky Ladder falls a little short of being a powerful or revelatory statement on the damnable compromises of large-scale modern art. Macdonald (One Day In September) commendably raises the controversies surrounding Cai’s capitulations to the Chinese authorities for projects like the Olympics. But by the end, those questions sort of trail off, to clear the way for the big spectacle to come. Still, given that gasp-inducing fireworks and light shows are the main reason why this film got made in the first place—and why people will want to watch it—it’s hard to fault Macdonald too much for opting more for uplift than provocation. After all, many artists begin with grand intentions, then settle for razzle-dazzle.